The latest in Third Edition's line of Final Fantasy books just might be their best yet. How religion and spirituality play a crucial role in the storytelling of this classic RPG. The app closely mirrors the recent BluRay soundtrack release. 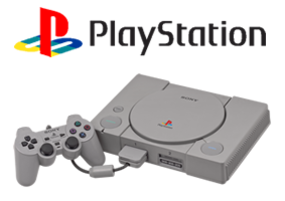 Famed Japanese electronics manufacturer Sony enters the home console market with their CD-based PlayStation system, capable of more realistic music and visuals than the world of home gaming has ever seen.